Flanders is a small yet populous region, known for its high productivity, transparent trade network and excellent transport infrastructure. This makes it the perfect place to do business, and the numbers prove it. We can’t stress it enough: the internationalization of its economy is crucial to Flanders’ success. Flanders is part of the most globalized country in the world. This insight is important to understand why Flanders is very susceptible for foreign influences. Invest in a region where global enterprises play several important economic roles in Flanders, in addition to their impact on the region’s employment and the added value generated by their economies of scale. Despite its small area of 13,522 km², Flanders boasts over 800 European distribution centers (EDCs) – the highest density of EDCs in Europe. Foreign companies also contribute their expertise and productivity to Flanders’ economy, leading to faster internationalization and more economic integration. The high-tech sector is a driving force for employment and economic growth in Flanders. Learn more about Flanders’ demographics and macroeconomics. Thomas Friedman once said that Belgium, and Flanders as region, is a “super trading nation”, and it’s not an exaggeration. When it comes to FDI, Flanders over-performs at both European and global levels. The latest EY European Investment Monitor confirms that 2017 was a record year for foreign direct investment in Belgium. This is the result of a 7.5% increase in the number of new projects compared to 2016. This performance places Belgium in 8th position in Europe. In addition, the number of jobs created by foreign companies in Belgium grew by 10% in 2017 compared to the year before. In its FDI Confidence Index of 2018, AT Kearney identifies Belgium as the 21st most attractive FDI market worldwide. Get the details on current FDI trends in Flanders. Download this handy infographic to get the full scoop. 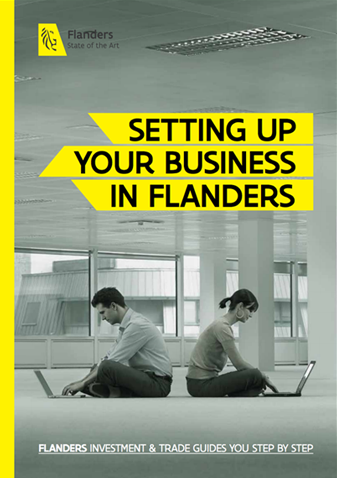 Find out more about international trade in Flanders. Labor cost increases have undergone a steady slowdown in Belgium since 2010. A gradual shift from tax on labor to other taxes (Labor & Tax Reform 2015-2019). Businesses have access to a broadly-skilled pool of blue and white collar workers. Higher GDP per person in Flanders than France, the Netherlands, Germany and the UK. World-famous educational system, especially in math and science. Attractive labor schemes including economic unemployment and flexible working hours. Discover in-depth information about the costs of labor in Flanders.